Set against the rise of European Fascism and the Blitz, Tigz Theatre brings you this exciting all female production of Shakespeare’s most famous tragedy. With the threat of invasion and war raging all around, the people of Scotland must rally together to fight off the Norway’s forces. 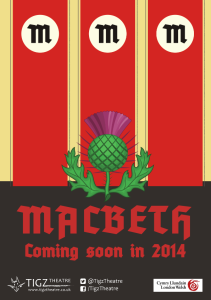 When the noble Macbeth wins the day and ends the war he encounters three strange women who proclaim him Thane of Cawdor and King thereafter. As their prophecy unravels, the war that has just been won makes way for a tyrant’s dictatorship where no one is safe. 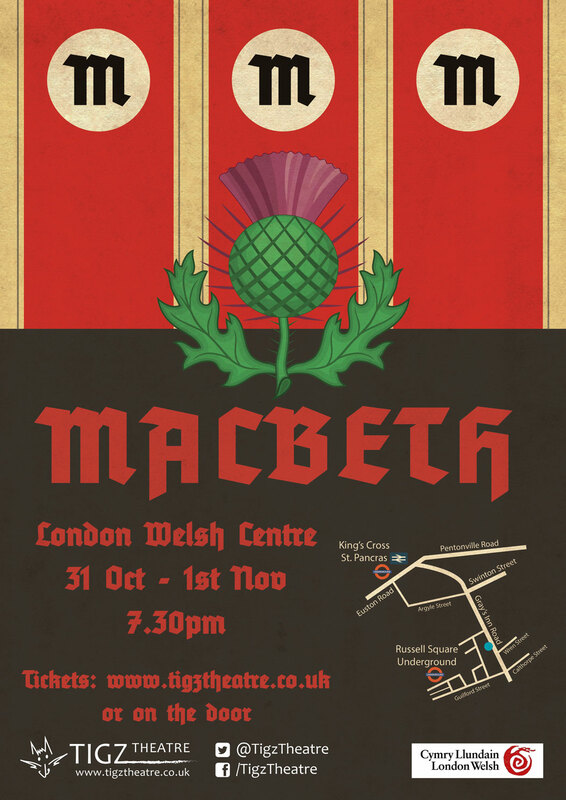 Performed on the 31st October and 1st November 2014 at 19.30 at the London Welsh Centre on Grey’s Inn Road it promises to be a Halloween treat not to be missed. Tickets are £7 in advance and £10 on the door. 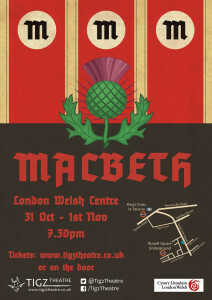 Due to the semi-immersive nature of the production we are only able to accommodate 60 audience members per performance. We advise that you book in advance to avoid disappointment.